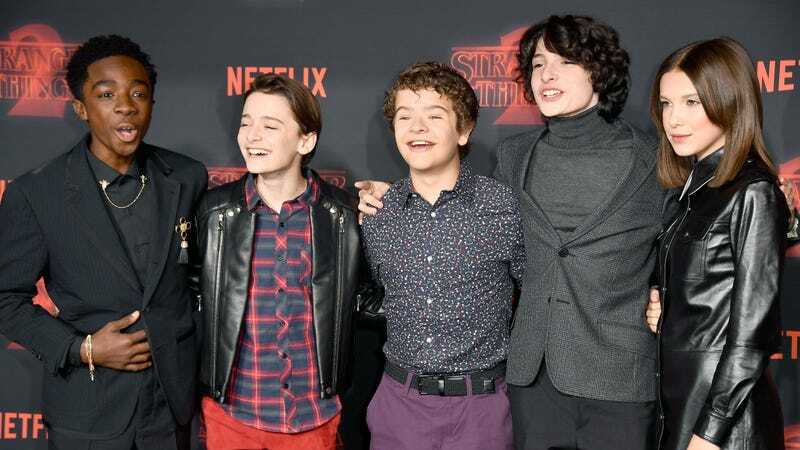 Let’s start with the big picture: Stranger Things is making its stars a lot of money. It is probably the most popular original series on Netflix (though Netflix refuses to provide data that would help anyone know for sure), which means the cast is in a position to negotiate for more pay. Deadline reports that the two lead adult actors, Winona Ryder and Times Up scholar David Harbour, will be raking in around $350,000 per episode of the upcoming third season. But they’re not the only ones getting rich off ’80s nostalgia. The kids, who were making around $30,000 per episode for Season 1, have also seen their checks get a little fatter since the show became an international hit. If their checks are being cut in California, where Netflix is based, Brown and her less well-compensated co-stars have “sole legal ownership” of the money thanks to the Coogan Act, an oft-revised law meant to keep money earned by child actor’s safe from the hands of greedy parents. Hope they have responsible agents and financial advisors, because with all that Netflix money, plus their many endorsement deals, these kids will make a lot more than us before they even turn 18.